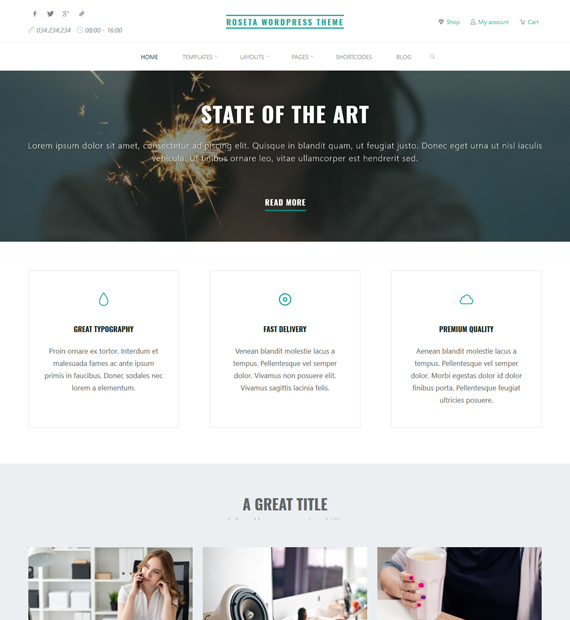 Roseta is a fast and clean multipurpose theme for WordPress that can be used for blogs, online portfolios, business websites, and even online stores. This theme is not just lightweight and responsive but it is also highly customizable and user-friendly. With Roseta, you will be able to customize everything, from site layouts, menu layouts to even widget layouts. This SEO friendly theme also allows you to use microformats and microdata to bolster your search engine rank. Get your entire website redesigned in a single click with custom color schemes designed by professional designers. Experience the swift and splendid way of revamping your site’s outlook. Get a set of stylish and sleek typography options – meticulously designed set of headings, paragraph, and Google fonts. Showcase your great content in a bold and beautiful design. Fully compatible with the popular WordPress multilingual plugin WPML. Create a completely translation ready website and get your entire website content translated to your target audience.